As the weeks and months fly by, it can be frustrating to realise and to have to acknowledge that all the best intentions we have set for ourselves have slipped away unachieved. We may have made good plans with firm resolve to reach certain goals (I’m talking about health and fitness here, but of course it applies more widely to everything doesn’t it? ), only to find that we are almost half way through the year, and painful procrastination has got the better of us. Putting things off is so easy, and in the short term provides us with relief. The problem is that the relief of procrastination is short-term and superficial, because the real and long-term outcome of procrastination is FAILURE, which is of course painful. So, in order to avoid this cycle of pain, we need to take a long-term view, and look deeper than the short-term gain of putting things off. We need to think instead of reaching our goals, and sticking to our resolve and firm intentions, and making it happen. And once you do that, and get to your class, the exercise bit is EASY. (What I mean by that is once you are there, you just do it – I don’t mean easy in terms of intensity). Making a decision to stick to a plan is an easy one-way thought process – “I’m going to class”. You go, you exercise, you go home, you feel good. Over the weeks and months you reap the rewards. You feel good, you have succeeded. You are a success! So set your intention, make your plan, and banish procrastination! You will be so glad you did. Jane Wrafter has worked in the fitness industry for 15 years and started JCW Fitness classes in Muswell Hill 13 years ago. JCW Fitness offers a range of flexible classes to members in the Muswell Hill area. Jane has done a lot of work with post-natal women, helping them regain their figure and their confidence. She is a resident expert on the Chrissy B Show – a lifestyle and chat show on Sky and our local Sweaty Betty ambassador. If you are interested you can get a one week free class pass at the JCW website given below. Our Style Expert Daisy Schubert talks us through an effective wardrobe spring clean, step by step. Can you relate to these weaknesses and fears? Is there anything you would want to add to the list? Be realistic with yourself and really think about how you feel about your wardrobe right now. Are you happy with it? Does it feel like a reflection of you? Are your specific weaknesses and fears valid and how can you overcome them? Could you use your empty suitcase as storage for your winter coat? Maybe invest in some boxes to pack away your out of season pieces. If you have fewer clothes all together, will storage really be an issue? Separate from them gradually and store these clothes away out of sight. After a while you will realise that the memory is still there but the attachment to the physical object has weakened. Find a picture of yourself wearing the garment in the good old days. Hang it inside your wardrobe door and let go of the outfit itself. Rather than donating them to your chosen charity, make a point of gifting your favourite piece to someone who you are really close to, someone you truly care about. Seeing your loved ones enjoy your treasure will let it live longer and will give it even more emotional meaning. We are all busy! But how much time do you waste every morning trying to figure out what to wear? Add that time up and you will quickly realise that spending a Saturday afternoon on a wardrobe spring clean is an excellent investment! Book yourself some me-time! This is the single most common fear of everyone I’ve ever worked with. We are all worried that we will later regret our decision to let go of a particular garment. But ask yourself: When was the last time you were wearing it? What are the reasons why you haven’t worn it in all this time? Will those reasons change anytime soon? Really then, can you justify hanging on to it? Yep, that happens! But will you get your money’s worth for keeping a garment in your wardrobe without ever wearing it? A better approach is to learn from your mistakes and stop buying things that are not right for you. Admit to yourself what has happened here and move on. Ready, get set, spring clean! Create space (pack away winter clothes). Fresh start to the season. Wardrobe should be a true reflection of yourself. Clothes only have value when someone is wearing them. Checklist (from Pinterest or your from your stylist, see below). Your best friend or personal stylist for support. Contact a personal stylist near you to book a colour and style analysis. (You can find a personal stylist on the Federation of Image Professionals International website). Pretend you could go shopping in your own wardrobe. What would you buy again? Ask yourself: Is it my colour? Does it work for my body shape? Can I hear my style words when holding it up? Will it give me joy for years? Sort clothes you’re letting go into three bags or piles: 1) Keep but needs dry cleaning, a repair by a tailor, etc. 2) Special pieces to go to special people 3) Charity shop, #WiWevent, Upcycling etc. Hang your YES-clothes back with the hanger in reverse for an easy way to see what you are and aren’t wearing this season. That will make it much easier next time! Daisy Schubert is a personal stylist. Her website is Wardrobe Workshop. Good luck with your Spring Wardrobe Cleaning! I am going to try the umbrella and accessories hooks in the hallway, a bit more boring but required seperating baby Noemi’s clothes into seperate boxes in the draw and how cute are the cars on the wall for Ralph’s bedroom! How about you? Are you inspired! Lucy from Bean to Bar Chocolate is a chocolate tasting expert and give us some tips on how to taste fine chocolate before our next session on Monday! Prepare in advance to get the most from a chocolate tasting. Firstly, prep your palate by avoiding strongly flavoured foods the evening before and in the hours leading up to your tasting. This includes no perfume or aftershave, which may interfere with picking up aromas. Have spring water available to drink between each piece of chocolate, some people also like to use sliced apple, bread or plain crackers to cleanse the palate with. In an ideal scenario you would know which order to taste in, so that you moved from the milder flavoured chocolate to the boldest. Unfortunately, cocoa content is not a reliable way to gauge this as some 80% cocoa mass bars have a similar character to those at 70%, whereas some 70% bars can have a depth and strength that you might only expect at higher percentages. Aroma, taste, texture and snap provide the clues in judging a bar of chocolate. Many people think that chocolate with a high percentage is a sign of quality: this is simply not the case. When tasting, look for the merits of the bar – how it smells, how it feels in the mouth and the flavours that develop. Try including a couple of dark chocolates widely available in supermarkets/ newsagents, which are being sold as high quality bars. My experience is that these ‘quality’ bars are mostly bland, flat and bitter (burnt) in comparison to the chocolate being made by the best producers from the craft chocolate movement. This is because the vast majority of mass-produced bars are made from low-grade beans grown on the Ivory Coast, which are then excessively roasted to dullness. Experiment in how you taste. For instance, I compare the flavours I find between slow tasting as well as normal speed tasting. Slow tasting allows the chocolate to melt in your mouth, providing a longer and more complex flavour experience. However, a quicker tasting allows me to understand what most people experience when they bite into a bar. Then I write tasting notes taking both of these into consideration. 5-8 chocolates is probably enough in one sitting, stop before the palate becomes muted. And, finally, remember not to dismiss milk chocolate: there are some wonderful, complex milk chocolates available. The quality of the temper* is the first thing to look for. Chocolate needs to be properly tempered in order to have a glossy shine and a good snap. Poorly tempered chocolate will look cloudy, have a dull snap and give an unsatisfying graininess in the mouth. *The result of a process of heating and cooling, which crystallises the cocoa butter in the chocolate. Fine cocoa is known to contain hundreds of flavours, and the best way to begin detecting these is through smell. Before trying the chocolate smell it and see what aromas you notice, this will get your palate ready for tasting. How does it feel in the mouth? Different chocolate makers have different styles, some prefer producing bars which feel drier in the mouth, whilst others opt for a silky smooth texture. I find taste varies depending on the time of day, what has been eaten previously and what bars are being tried alongside. There is no right or wrong answer to flavour experience: anything that comes to mind is valid. However, what you may find is that you’ll be able to articulate flavours more easily with time. Lucy will conduct a Single Origin Chocolate Tasting this Monday 21st March at the Clissold Arms, N2, Please join us! Lucy is the owner of Bean to Bar Chocolate (an online fine chocolate supplier), and has a specialist knowledge of the craft chocolate movement. Her interests are in small batch, ethical producers who are making extraordinary chocolate from around the world. Similar to a book or film club, Lucy also runs a monthly chocolate tasting club at the Arthouse in Crouch End where a group of chocolate fans discuss and learn about a variety of craft chocolate bars in an informal social setting. 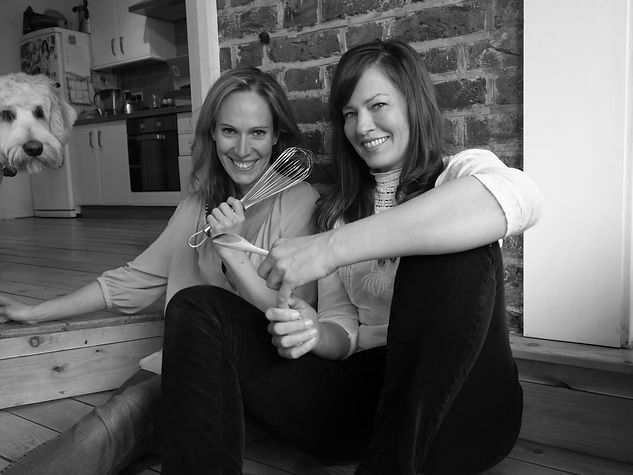 Meet Nutritionist & Chef Duo, Stephanie & Dorothy aka Fig & Bloom! Cat: What led you to set up Fig & Bloom? Stephanie: I am a nutritionist (and a wannabe chef), and I met Dorothy, a holistic chef (and wannabe nutritionist) on the school run when our children started reception together. We got to know each other and quickly realised we shared a passion for promoting health through delicious food. It didn’t take long before we decided to join forces and Fig & Bloom was born. A chef and nutritionist combination works so well because people need not only the scientific evidence for nutritional recommendations, but also practical guidance on how to then turn that information into something easy and delicious. Dorothy: After moving to London and setting up my own healthy catering business, I realised that creating recipes and preparing food was only part of what I wanted to do. I really wanted to teach and empower people to take care of themselves through food, not just serve it to them. When Stephanie and I started to talk about what we did I had a real light-bulb moment about how we could work together. As a self-taught chef I had developed a lot of knowledge about healthy food over the years, but working with Stephanie, a registered nutritional therapist, has taught me so much in a short space of time! Stephanie: When I first see a client they are usually struggling with their health or finding it difficult to fit healthy eating into their busy lifestyles. Seeing that client improve and the impact that improvement has on their long-term wellbeing is incredibly rewarding. Dorothy: I love spending time in the kitchen experimenting with new ingredients and creating delicious new recipes. But I also love receiving all the positive emails and photos from clients who are really enjoying their new healthy recipes and menu plans that we created for them – one recent photo from a client almost made me cry! Her enthusiasm and appreciation for how we had helped her to make healthier meals that all her family would enjoy made me so proud. Cat: What’s your number one piece of nutritional or cooking advice for busy mums? Stephanie: Stabilise your sugar levels! It’s dull I know and difficult for many, but tackling sugar cravings is one of the best things you can do for your long term health and your family’s. Dorothy: I would say my top piece of cooking advice would be to PLAN! If you set yourself up for a few easy meals during the week, ideally ones that will last you more than one day, then you will have the time and freedom to play a bit. Buy a cookbook, magazine or look online for inspiration, and remember you don’t have to follow a recipe to the word but it does help with new tasty ideas. Dorothy: As a busy Mom & business owner, I have found that I need to stick to my yoga classes they make me more focused at work & nicer at home! Otherwise, exploring London….we moved here 1 1/2 years ago and there are just so many amazing spots to explore. We went to see Buckingham Palace and the horse guards’ parade over half term – I just have to pinch myself sometimes that I live here (originally being form the US), I love London. Fig & Bloom are a Muswell Hill based consultancy specialising in nutrition, cooking tutorials and recipe development aimed at improving health and wellbeing for the long-term, founded by Stephanie, a registered nutritional therapist and Dorothy, a holistic chef. 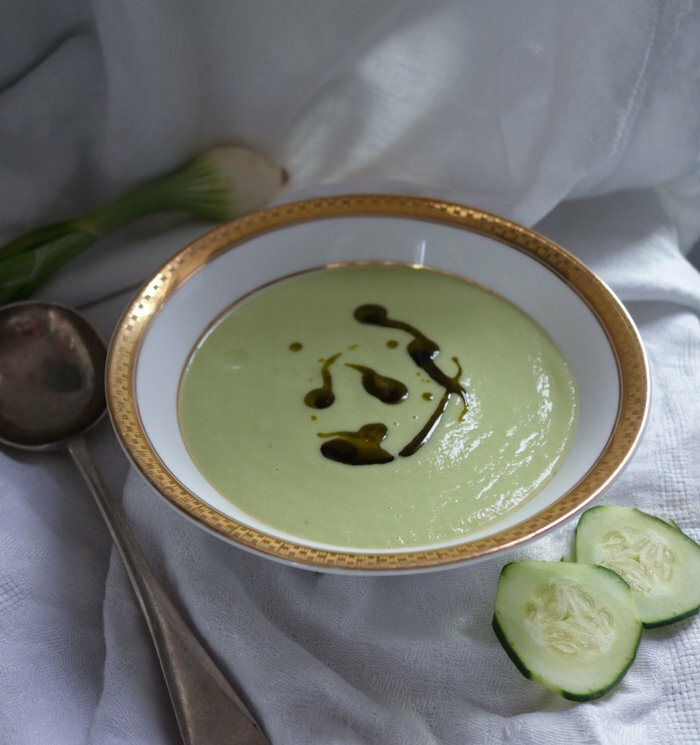 They use the latest science-based nutritional information to create fabulous tasting food, and help their clients nourish themselves easily, effectively and deliciously.